A great wine srats out in the vineyard, Cheval Blanc is an outstanding great growth thanks to a thousand small tasks undertaken with extremely meticulousness and repeated year after year, season after season, and often every day. The soil at Cheval Blanc is regularly ploughed and alternately earthed-up and unearthed twice a year. This entails pushing the soil up around the base of the vine, and later moving it away and flattening it. This helps protect the vines from winter cold. Furthermore, “subsoiling” is practised between alternate vines rows every other year. This entails the mechanical disruption of plough pans beneath the normal depth of cultivation to enhance rooting. Dead vines (less than 1% a year) are replaced in November. 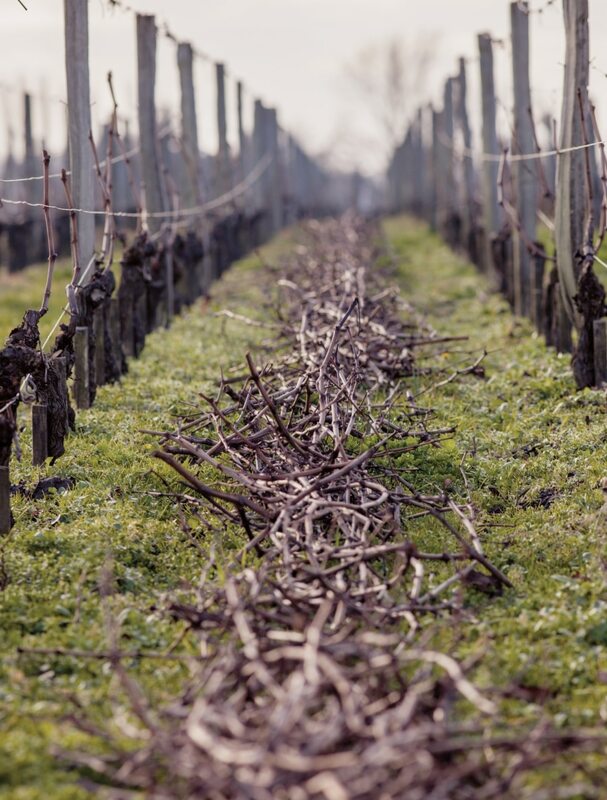 The vines go into hibernation in winter, when they are pruned. Calling for experience and considerable dexterity, this essential operation is done slowly and with consummate skill at Cheval Blanc. In fact, the same worker is assigned to the same plot year after year so that he acquires a great familiarity with the vines. He observes every vine closely, analyses its vigour, and weighs up its balance before “sculpting” it. Depending on what he sees, he will choose one of the fruiting canes with a few buds to leave behind, and cuts off the other canes. The worker decides on the total number of buds to leave, according to each vine’s vigour and potential. This “bud pruning” is conducive to spreading out bunches on the cane. Each bud will produce an average of two bunches. Everything is a question of equilibrium: a vigorous vine can cope with more buds than one that is less vigorous. Every vine stake, tie, and guide wire is checked in winter in every plot at Cheval Blanc. 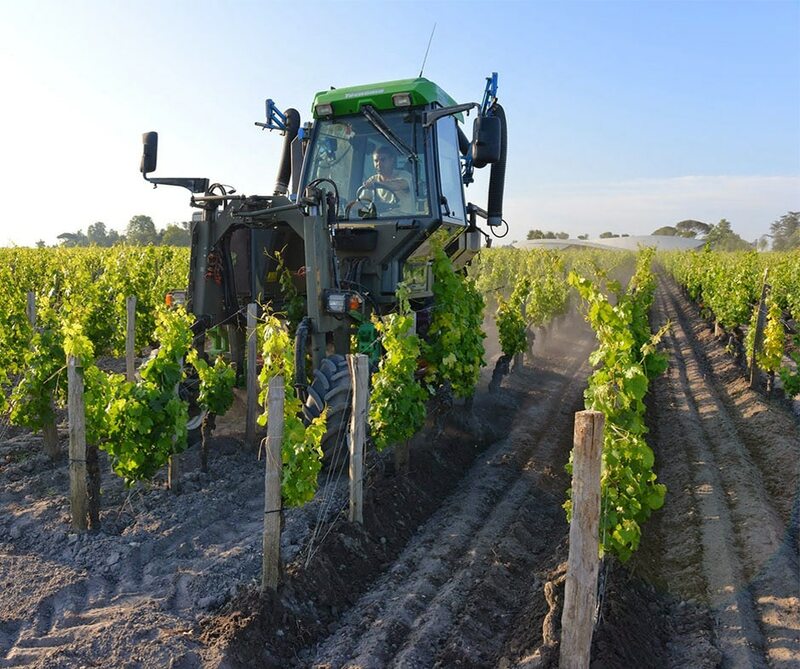 This operation, called carassonnage in French, makes it possible to put the finishing touches to the way the vine is trained (i.e. supported and guided), and to replace any stakes damaged by bad weather. In March, workers make sure that each vine is firmly attached and well-stabilised. The cane left after winter pruning is delicately attached to the guide wire in order to grow horizontally. This is only done during wet weather because, if it were dry, the cane might break. The “décavaillonnage” is narrow patch of land between wines is unearthed. The soil is manually removed from this area inaccessible by machines. The growing season begins after a winter rest. Buds appear, protected by their down and scales. This is the first stage of the growth cycle. A meticulous operation called suckering is done in spring to remove non-fruit-bearing shoots that would sap the vigour from fruit-bearing ones. Furthermore, the vines are attached by hand to the horizontal guide wires three times a year. This is generally done in May, June, and July to keep pace with vine growth. The soil is screefed and ploughed in spring and earthing up is done to limit the growth of grass. During an operation called décavaillonnage in French, the narrow patch of land between wines is unearthed. The soil is manually removed from this area inaccessible by machines. This tilling removes weeds while mixing up and aerating the soil. 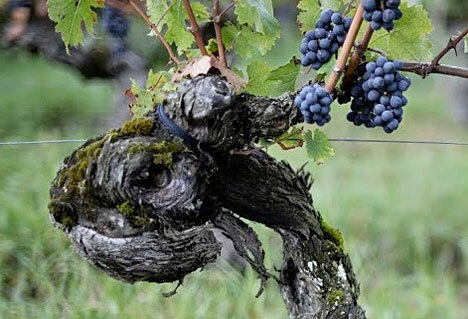 That is very important since it forces the vine roots to sink deep into the ground to find nourishment. Furthermore, it also makes the vines less subject to excess or insufficient water supply. Young vines are planted in May and June on plots left fallow for two and a half years. The old vines previously found there had become too weak and needed to be grubbed up. The soil was then deeply ploughed and given time to regenerate. Everything possible is done to encourage homogeneous growth. Flowering is closely observed between late May and early June. The flowers need to bloom at the same time so the grapes will ripen together. The vines are topped for the first time during this flowering period. This consists of trimming the uppermost shoots in order to limit vertical growth, as well as to facilitate aeration and penetration by the sun’s rays. Once flowering is over, the first berries start to take shape. Leaf thinning takes place after this fruit set, between late June and early July. Cheval Blanc’s vines are oriented north-south, so the leaves are plucked around grape bunches on the east-facing side so they can take advantage of the sunlight. Everything is done to free the area around each bunch and to aerate it. However, care is taken to leave a leaf just above, a sort of “cap” to protect the grapes from scorching when the sun is directly overhead. By early summer, each vine has from two to twelve bunches. Green harvesting in July helps to keep the bunches from becoming overly compact, because this entails a risk of rot. If there are too many bunches on a vine, excess ones are removed so that the remaining ones will be more concentrated. However, care must be taken not to eliminate too many, because that can lead to grapes that are too big. Cheval Blanc seeks to produce only small, concentrated berries. The grapes swell little by little and an important step is reached with the closing of the cluster. The skins change colour and the grapes acquire properties that will make them into a great wine during a process called véraison that occurs within the space of a few days in early August. The Cheval Blanc technical team is especially vigilant at this time because véraison must coincide with a stop to the vine’s vegetative growth. If the vine keeps on growing, it will be to the detriment to ripening. From this point on, the grapes need sufficient nourishment to concentrate sugar and tannin and ripen perfectly. 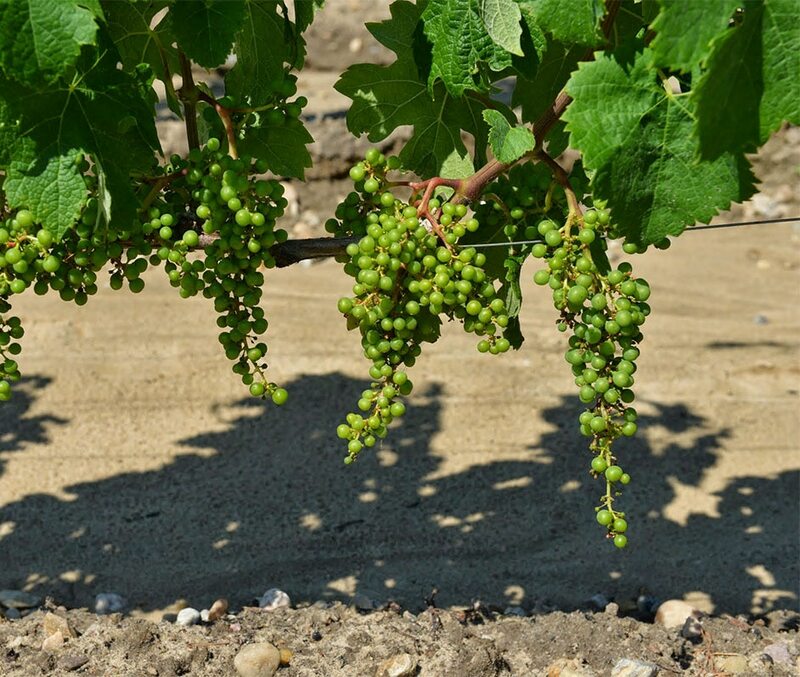 Making sure that this final stage of the growing season occurs seamlessly is essential for a great terroir. At the end of véraison, green harvesting is done once again in order to even out the ripening process. However, this time it involves removing green grapes that have not yet undergone véraison. In this way, only grapes that have reached the same perfect degree of maturity will be picked. In August, aoûtement, or lignification takes place. Shoots become hard and woody, and the veins become red, then brown. The grapes are fragile at this stage, and workers must be careful not to jostle them walking through the vines. Tilling operations come to a halt after an earthing-up in the middle of summer. The grass can now grow, and will absorb water in place of the vines. Tannin quality is vastly improved by water stress. Cheval Blanc’s power and density revolve around a key factor: the grapes are only picked when they have reached the exact desired degree of maturity which, in fact, encompasses three separate kinds of ripeness. The first is aromatic ripeness. If a fruit’s development can be divided into four stages ranging from “green” to “rotten”, only the “fresh” stage interests Cheval Blanc. The second kind of ripeness, called technological maturity, is also essential because it concerns the complex balance between acidity and sugar. Acidity contributes freshness and balance, and provides seemingly paradoxical qualities found only in the greatest wines: engaging youthfulness and ageing potential. Alcoholic degree does not seem to be a decisive factor, since this can vary from 12.5 to 14° at Cheval Blanc – which maintains fine balance in all instances. 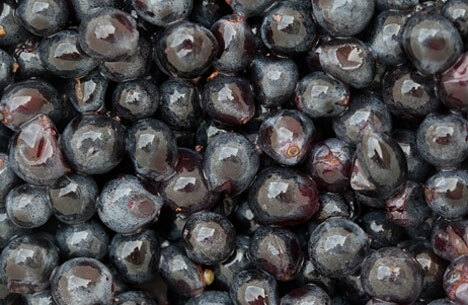 The third and final kind of ripeness is “phenolic maturity”, which concerns the wine’s structure. Only the quality of the tannin counts here, as opposed to the quantity. The château team seeks to determine what tannic grain the wine will have, and how it will coat the palate. The aim is to obtain silky, unctuous, rich, concentrated tannin that is neither dry nor rustic. Analyses take place daily starting in early September. Every morning, the vineyard manager and technical director go through the vineyards to evaluate the three kinds of ripeness. They look at recent weather patterns and compare different parameters: aroma, acidity, and tannin. 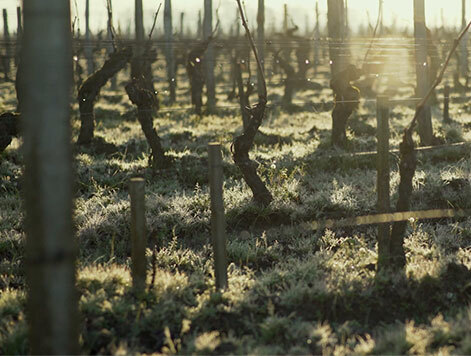 Cheval Blanc aims for the optimum level of all three kinds of ripeness in each of the estate’s forty-five plots. All the work done throughout the growing season is at stake. If one of the plots does not attain the expected criteria, the grapes will not go into the grand vin. The ripeness of the pulp, the skins, and the seeds must all be ”al dente”. The waiting game must continue as long as the grapes are not ready and the desired degree of ripeness not been reached. Logistical or organisational priorities – in short, the easy way out – must always take a back seat. The pickers bide their time until they receive the go-ahead to harvest, plot by plot. The decision to begin picking can be made from one day to the next. Only rain can upset things. 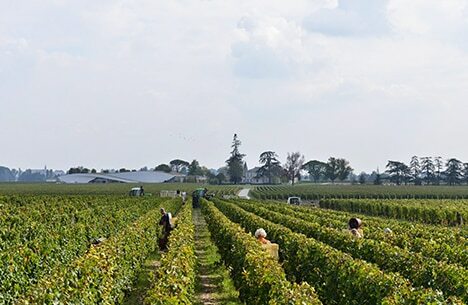 Grapes are entirely harvested by hand at Château Cheval Blanc. Some fifty pickers with secateurs are supervised by the vineyard manager. The harvest takes place “à la carte” according to the ripeness of each grape variety in each plot. Altogether, this takes about ten days of work spread over a month. The technical team may decide to pick just a single plot in a full day – or interrupt the harvest for several days. The availability and flexibility of pickers are major advantages here.. The grapes are picked into crates with a capacity of 20 kilos. Once a plot has been entirely harvested, the grapes are carefully identified and weighed. Which fermentation vat they will go into depends on how many kilos there are. The freshly-picked grapes are put onto pallets and stored overnight in a cold room. The grapes from each different plot are processed separately – no grapes from one plot are mixed with ones from another. An initial sorting is made by experienced pickers in the vineyard. They are fully accustomed to the château’s strict criteria and immediately eliminate any grapes that are not in fine condition. The grapes are gone over a second time by four workers on a sorting table, at low speed. At the end of this table, a further team of twelve does a final sorting after the grapes have been destemmed. Each of these steps is done by skilled employees who have only quality in mind. Any grapes that are green, pink, or shrivelled are rejected. Only perfect berries are retained. The grapes that have passed the third level of inspection go into the crusher, which splits them open one by one. Tolerance is very small here: less than 5% of the grapes are left whole and less than 5% are crushed.